Getting married can be a wonderful, exciting time in your life but it can also be stressful and overwhelming. Planning a wedding is almost a full time job itself. Many brides in order to save money are planning their own weddings and this can cause a lot of stress. Most brides spend, on average, a year planning their wedding and that never seems like enough time. The majority of brides have families or jobs that make planning a wedding difficult. Searching for advice for planning a wedding can also be overwhelming. There is a lot of information out there so sometimes finding a place to begin is difficult. One of the best pieces of advice that anyone can get is to get organized as soon as you possibly can. Being organized is key to helping make the planning process a lot less stressful and make the wedding day go very smoothly. Take your time with the planning process. There are so many details that go into the big day so make sure to take your time. 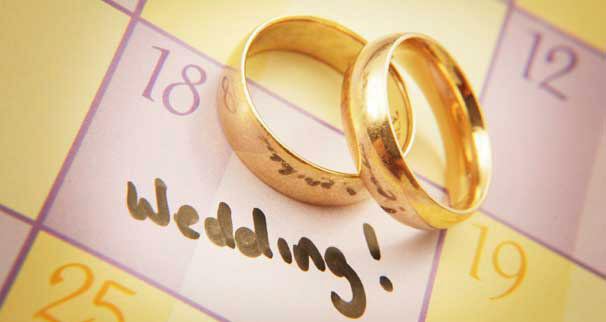 The first aspect of the wedding planning and the first step to being organized is to get a budget in place. A budget will help to keep brides on track for certain milestones and making sure that all vendors are paid on time. Weddings can be very expensive and if you don’t plan your budget ahead of time, then it could end up costing you more money than you anticipated. When creating your budget, take time to research different vendors to find the best price. Make sure to ask the vendors if getting married during the offseason will save some money. The best way to create a useful budget is to create a spreadsheet with all items listed that you need for the wedding. 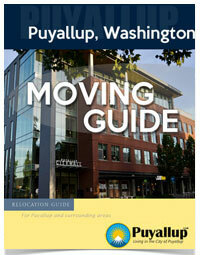 Start with the bigger items or vendors like the Puyallup photographer, wedding dress and venue. As you work your way down the list start to focus on smaller items like your wedding shoes, accessories, the bridesmaid’s gift and make sure to include items that you would not necessarily think of, like postage for all the save the dates and invites you have to send out. Take time to make a thorough list of each item or vendor for the wedding and research to see the average associated cost. Once your list is complete and you have researched the cost associated with each item or vendor, it is now time to start reaching out and interviewing your big ticket vendors like your venue, wedding photographer and picking out a dress. Make sure to book your venue a year in advance. Quality, inexpensive venues usually get snapped up pretty quickly. Make sure to ask if getting married in the off-season is less expensive. Some venues will also have preferred caterers that are only allowed into the venue. Sometimes this can be more expensive than just finding a place that allows any caterer to enter and serve food. Some venues have preferred vendors that will offer a discount because they are a preferred vendor. Ask about any discounts that they might offer. Another tip is to ask for all costs up front from your venue. Some venues charge a cake cutting fee and a cork popping fee. They usually don’t mention those up front costs so asking ahead of time will make your budget more precise. Also purchase your wedding dress around the same time. Wedding dresses are usually made to order and depending on your dress it can take 6 to 8 months for it to arrive. Also some boutique stores will offer discounts on the floor samples. It never hurts to ask especially when you are trying to keep on budget. A wedding photographer can be pricey but it is worth it. Trying to go with the cheapest wedding photographer can potentially be an issue. You have your photos forever and working with a photographer you trust will end up paying off in the long run. Heather Mann Photography is a local wedding photographer (in Puyallup) who offers affordable prices and fabulous packages. Heather, the owner, has a full wedding portfolio section as well which demonstrates much of her work. Another aspect that is important when choosing a wedding photographer is to make sure you can reach him/her quickly if needed. Choose a photographer who takes the extra time to setup a call and provides you with their direct phone number. If you’re planning your wedding and considering a Puyallup wedding photographer, give Heather a call at 253.370.7975. Once your more expensive vendors have been booked, it is time to focus on smaller items that can be purchased through the year. The next step is to get your wedding party and guest list solidified. Most people will have a general ballpark figure for wedding attendees when they book their venue. Now it is time to start pulling that list together. Decide whether you want to have children at your wedding and if single people can bring a date. Be very clear on your wedding invitations what your expectations are for you guests. If you prefer no children at the wedding then you can politely express that on your invitations. Remember it’s your wedding and invite the people that you want to have there celebrating with you on your special day. Most people feel pressured to invite family members that they have never met just to appease other family members. Hold your ground and remember each addition person will cost you extra money. Sometimes booking a venue with a limit on how many people can be in that venue help to limit your guest list. Picking out friends and family members to be part of the wedding party can also be stressful so make sure to start early. Remember to surround yourself with people that you know will be there to help you before and during the wedding. Once you have your wedding party picked out, you should start shopping for bridesmaids dresses. Some wedding boutiques need at least 4 months to order in bridesmaids dresses. Tux and suit rentals do not require as much advance notice but getting into the store early and deciding on what you want will definitely take a lot of your wedding planning plate. Planning a wedding can be a wonderful experience if you plan ahead and stick to your budget. Planning as far in advance as you can for your wedding will lead to less stress down the road. The city of Puyallup offers a variety of venues, caterers and other wedding vendors at affordable prices to fulfill your wedding needs. 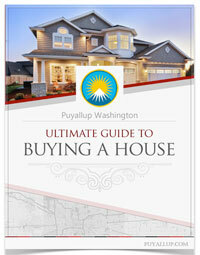 Make sure to check out the rest of the website to see the best of what Puyallup has to offer!